Daniele Ratto (Cannondale) put in a performance as brave as it was impressive to win Saturday’s weather-stricken stage 14, while fellow Italian Vincenzo Nibali (Astana) finished second and extended his overall lead. On paper the Pyrenean stage looked like one of the most challenging at this year’s Vuelta with its four categorised climbs, but the dramatic conditions further exacerbated its difficulty, adding treacherous descents and freezing cold summits to the steep slopes and mountain top finish. 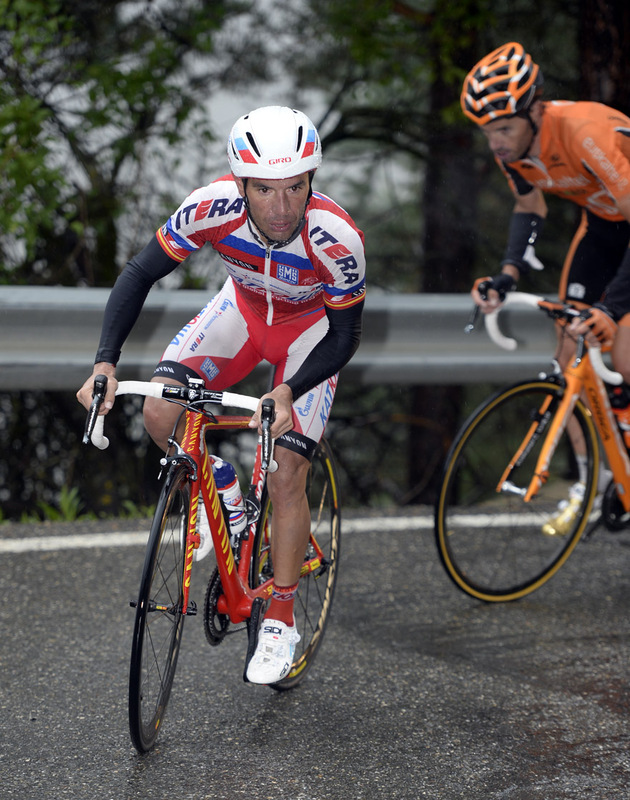 However, Ratto remained unperturbed, making it into the break of the day, going clear with Philippe Gilbert (BMC) and Luis Leon Sanchez (Belkin) on the hors-category Port de Envalira, before finding himself alone at the front having dropped the former on the descent and with the latter retiring having crashed and suffered from hypothermia due to the cold. The 23-year-old’s victory was one of courage more than class, as demonstrated by his unorthodox descending style; to balance himself, he stuck one of his legs out and hovered his foot just above the tarmac when turning corners. The peloton’s caution enabled him to maintain an eight minute gap going into the final climb, which he never looked like ceding. 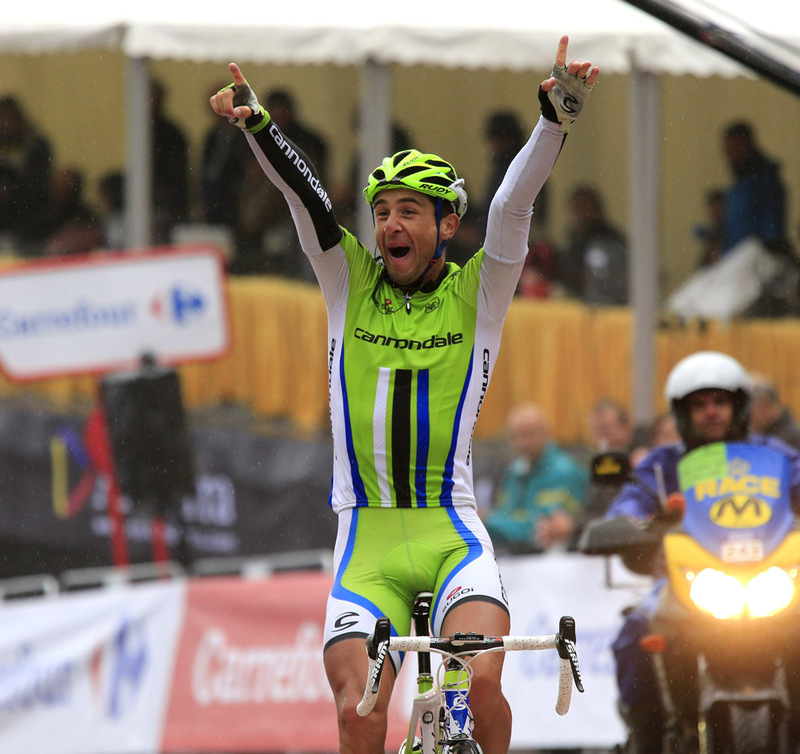 It was has been an uplifting tour for Italian cycling, Ratto may just be the bright new star the nation is hoping for. It was a bittersweet day, however, for Cannondale, whose leader Ivan Basso was forced to retire having also suffered from the cold and potential hypothermia. The cold shaped how the race unfolded, making it more of an attrition contest than one full of attacking riding, but was exhilarating nonetheless. The peloton had thinned out even before the final climb and continued to do so as the riders reached its slopes. 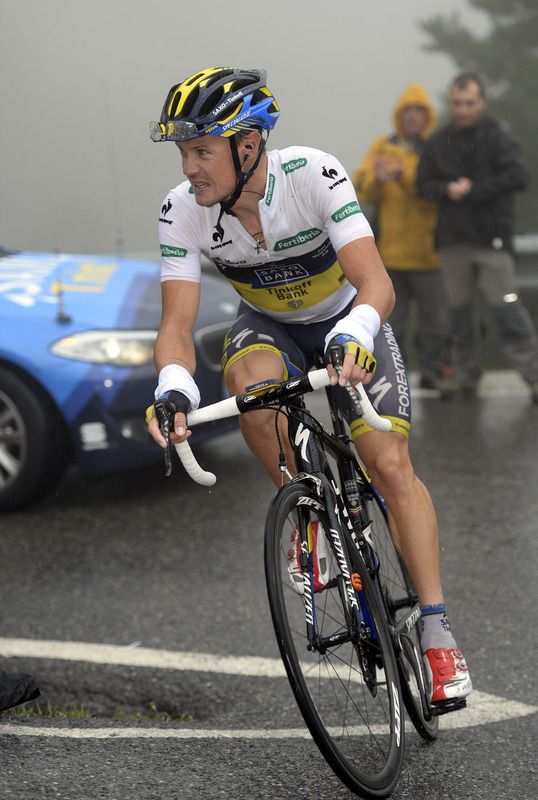 Nicolas Roche (Saxo-Tinkoff) was one of those to be shelled, and ultimately finished three and a half minutes behind Nibali, slipping to sixth overall. Today demonstrated to the Irishman just how many obstacles can lie in the way of those wishing to compete for the top placings in a grand tour, but, though the red jersey now looks beyond, a place on the podium is still achievable. Alejandro Valverde (Movistar) was another to suffer from the conditions, and his case was dropped on the descent of the Port de Envalira. However, he overcame whatever it was that ailed him, and went on to finish sixth in the stage, limiting his losses to Nibali to less than a minute. The only rider to stay with Nibali was Chris Horner (Radioshack-Leopard). The decisive moment occurred when the American’s teammate Robert Kiserlowski accelerated with one final effort only a few kilometres to the finish, leaving Nibali and Horner alone to fight it out to the finish. They crossed the line virtually together, with the Italian just a couple of second ahead, while next in were the Spanish trio of Joaquim Rodriguez (Katusha), Samuel Sanchez (Euskaltel) and Valverde. As such, Valverde and Rodriguez remain in contention, but the race is shaping up to be a two-way tussle between Nibali and Horner. Tomorrow’s stage, which features another four categorised climbs and mountain top finish, will form yet another important battle ground in the race for the red jersey.